Frankie Manning: Never Stop Swinging, is a half hour documentary produced and directed by Julie Cohen, the producer of the hugely popular shows The Jews of New York and New York Goes to War. The program also features an interview with Ruthie Rheingold, a 92 year old Jewish woman, who along with her partner Harry Rosenberg made up the only white couple to dance in Whitey’s Lindy Hoppers, and a reunion between Frankie and Ruthie, caught on film. 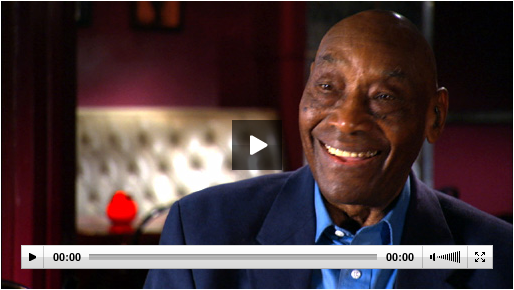 “Never Stop Swinging” features the last major interview of Frankie Manning before his death, as well as precious archival footage of his dancing from the 1930s to 2009 in New York, Hollywood, Sweden, France, Italy and Singapore. Footage highlights include scenes of Frankie Manning’s birthday parties, where he danced with one woman for each year he’d been alive, the legendary dance scene choreographed and headlined by Frankie Manning for the movie “Hellzapoppin'” and the phenomenal duet with his 76-year-old son, Chazz Young, himself a professional dancer. Frankie was a born storyteller, with a huge smile and an even bigger laugh. The documentary was premiering on Thursday, 21st May 2009, on Thirteen. What do you think about this documentary? Please leave a comment!